A sweet, but not overwhelming, desert. Cut banana in half lengthwise. Set aside. Melt butter in a saucepan, stirring in the sugar and rum. Cook over medium heat, stirring occasionally until sauce thickens (5 to 10 minutes). 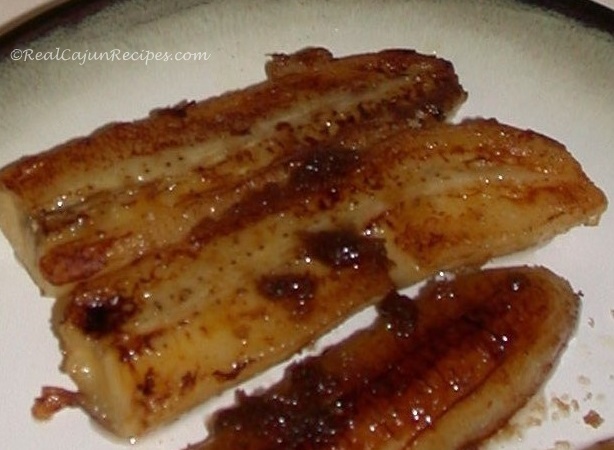 Add bananas and cook until heated thoroughly (1 to 2 minutes). Remove from stovetop and serve.